Andy Murray Not Interested In Discussing #Brexit, But He’s Happy To Talk Liam Broady! The big news out of the United Kingdown the last 24 hours has been its decision to leave the 28-country European Union. The narrow 51.9 to 48.1 vote had many stunned. And the result sunk world financial markets, forced the PM to resign and spurred speculation of economic trouble for England. Today at Wimbledon, Murray, one of the biggest sporting stars in the country, steered clear of giving his thoughts of the heated topic. “I’m not discussing that today,” Murray said Saturday. “I have followed it very closely. Yeah, stayed up pretty late on whatever night it was, last night into the morning. Murray begins play on Tuesday against fellow countryman Liam Broady, a 22-year-old lefty from Stockport. It’s the first time Murray’s faced a Brit at Wimbledon or at any Grand Slam. “Yeah, it will be interesting,” Murray said. “Obviously never happened before, for me anyway. I know Liam fairly well. We practised a bit earlier this year, around sort of February/March time, after the Aussie Open. And Murray brings Ivan Lendl back with him to Wimbledon, where he won under the Czech in 2013. “Genuinely, it was easy,” Murray said of Lendl. “He’s obviously very clear in what he thinks and where my game needs to go if I want to keep improving and winning the major events again. Because I trust and believe in his opinion, it also helps when you get back on the court together. When we’ve chatted, it’s all gone very well. 38 Comments for Andy Murray Not Interested In Discussing #Brexit, But He’s Happy To Talk Liam Broady! Very wise decision there andy!This topic clearly became very sensitive nowadays and you don’t need to tangle yourself in unnecessary controversial issue..just stay focus on wimby..hope you do well..VAMOS ANDY!! !Ooppss!..I mean C’MON ANDY!! I imagine Andy is under strict instructions to remain schlum on the subject. Hon, hon: Would Ricky give you my email do you think? Or would he huffily, but justifiably, reply he isn’t our social secretary? Worth a shot? 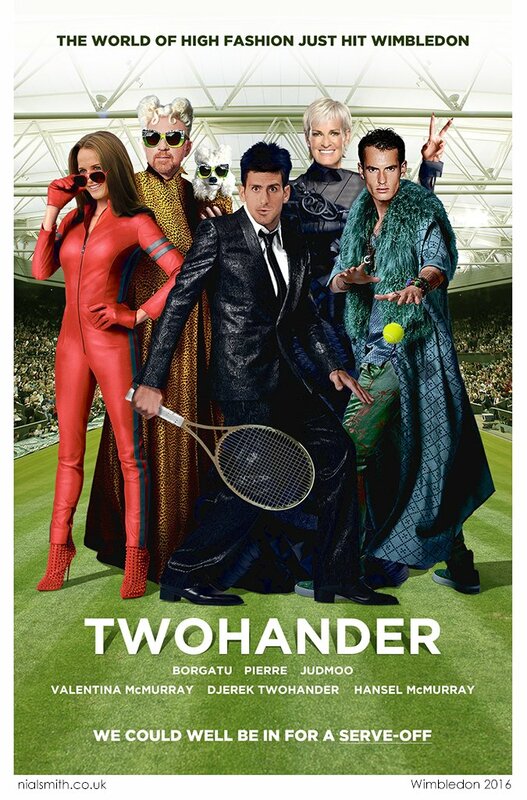 Nice that Andy and Novak joined. Andy’s brother Jamie was also elected, so it is obvious that the Murray brothers have good reps with the players. I believe Novak avoided being on the council while Roger was on it. it’s nice to see numbers 1 and 2 on the council cf1: but i like how they balance it out with guys from the top 100 too. i think nole’s been on it before but don’t think andy has. Go get it Andy, lets have a 2013 repeat, i assume its OK it root for him ? …. Hi, Willow! We will have to unite and get on board with JK and Margot to cheer Andy on! I hope he goes deep this year………and I am very confident he will!! I would love to see him win Wimby one more time!! Okie right on, i wont elaborate as to why, and i wish id not said anything now, but i wanted out, although im sympathetic to both sides of the argument, but i had to do what i thought was right, for my own personal reasons, thats all ill say, as it all feels quite hollow now, im not exactly doing cartwheels down the street …. Enjoying watching Glastonbury festival, some good bands on this year ELO, Muse, Coldplay, Adele, would love to go one year, in spite of the British weather …. ^ he is working with dani vallverdu, andy’s former assistant coach, who was with berdych but is now with delpo. Thanks Jane for “Zoolander” …big grins. Okie….Great, so great Andy has engendered such goodwill from you. As for Willow: Your life will be hell if you don’t! Seriously, really appreciate your support. PS: If anyone puts you off supporting him, just point them out and they will be dealt with. J-Kath always when Rafas out, im relieved you still want to talk to me to be honest …. What I like about Wimbledon they show respect to the previous year’s winner by presenting him (and her?) in the first main draw match. Nole will win but hope James Ward hangs loose and plays well. Gosh Willow….when have I ever not been there chatting to you? You’ve been chatting to another of your friends, Jalep, recently re. the women’s matches which I don’t get into too much..also it’s been Brevit and I haven’t wanted to upset too many people so haven’t been too jocular lately. Cheers J-Kath, come on Murray ;-)) …. yes, i really like this too. i think all slams should do the same, frankly. @Jane – not just Staks but Simon too. I’m sure there’ll be some trash talking about the ladies at some point soon. RZ Just picked him on your bracket challenge, and left you a post ;-)) …. RZ I want Okie and J-Kath to also have a go at yours and Jaleps bracket, come on ladies ;-)) …. I want him to win this without losing any set. That would be little exciting. I have emailed him to see if he will co-operate but so far no response. Not sure if this is because he is too busy with Wimbledon atm or is simply unwilling. If nothing happens I’ll give you a virtually dormant address which we can use but which allows me to block any nuisance emails without opening them. From then on we can use by main address. We’ll get there in the end. Should read ‘we can use my main address.’ Ruddy autocorrect working overtime and getting it wrong as usual. Thanks for thinking of me… Sorri, but I’m pretty snowed under. I’m shortly going to be swamped with visitors. Plus I’m planning to sell my building in the Spring so need major maintenance in completed half and the development to be finished in the other half, plus I’ve got a room full of Walter papers to go thru and that is wearisome. I’m piling stuff for charity shops and auctions, boot sales and kidding myself I can get back to my freelance stuff…. And only since returning from my break in Argyll have I started to get my energy back. Next time round, O.K? Wimbledon is the “Slam of Injuries & Upsets”, and Novak is the 1st to say he is not invincible. He didn’t get a good Boodles prep with the rains. So one match at a time. And he has tough later round possible opponents he will need at least his B+ if he goes that far. Love how some of the more ridiculous Fedal fans are moving the goalposts…claiming that in order to be a “true” great of the sport, Novak ‘needs’ to win 2 more or he ‘choked his big opportunity away’. The AO finally went to a later January date in 1987. Just shows how stupid and arbitrary that particular record is. Not to mention in the 70s up through the mid 90s, the AO wasn’t mandatory, players lost money of they had a better paying event like a Mad Garden Exo, and a good deal of players resented losing much of the Christmas/New Years vacation period with friends and family. I just hope Becker does not see the Zoolander pic while he is eating or drinking something. RZ……Every time I call out names of fans I forget someone who is also a fan. I am going to join you guys. I have got to support someone and Andy is my second favorite…oh how I hope the green green grass of home is good to him!! C’mon Andy!! oddsmakers never get it perfect but you can decide which ones to you think they got wrong, for instance, Dave, RZ, and me are picking Verdasco over Tomic first round. The odds favor Tomic but I don’t trust Tomic. Think of it as a fun little puzzle with your internet chums! @Jalep…..I have done the college basketball brackets before, but feel I know more about that sport than tennis. I know how to do it…just lazy!! I wonder who the upset will be….men and women? ?